The mainstreaming of far right ideas that heavily contributed to the Brexit vote in 2016 has continued at an even greater pace in the two years since the referendum. 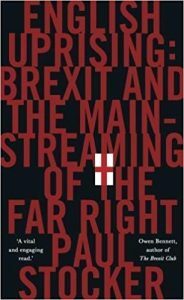 In my book, English Uprising, I argued that a normalisation of ideas traditionally espoused by the far right — nationalism, anti-immigration sentiment and hostility to foreigners — had increased since the late 1990s and was a significant factor in explaining Britain’s narrow vote to leave the European Union. The rise of far right and right-wing ‘anti-establishment’ organisations such as the British National Party, the English Defence League and UKIP in the years leading up to the vote were symptomatic of a Britain increasingly hostile to outsiders. The country’s political culture has become markedly more favourable to the far right since then, in spite of the collapse of these organisations. One trend since the referendum, which may come as a surprise, is that according to several studies, attitudes toward immigration have become less hostile. At the time of the referendum, approximately 60% of the country said that immigration was among the ‘top 3’ priority issues facing the country. By May of this year, according to a YouGov poll, this had fallen to 29%. Whilst the reasons for this remain unclear (it is perfectly plausible that attitudes have relaxed due to an expectation that Brexit will lead to dramatically reduced net immigration, a scenario I believe is unlikely), it should surely be seen as a welcome development. However, as I argued in a blog for the Centre for Analysis of the Radical Right in May, this does not lead me to conclude that support for far right ideas will abate any time soon — the political environment may have shifted on immigration temporarily, but not on other issues which assist the far right. Britain has an Islamophobia problem and has done for some time. This goes far beyond the crude EDL-style anti-Muslim prejudice with which the term is often associated. In 2011, Conservative Peer Baroness Warsi argued that Islamophobia had ‘passed the dinner table test’ and had become socially acceptable in Britain. A recent poll conducted for Hope Not Hate found that there has been a hardening of Islamophobic attitudes following the 2017 terror attacks in London and Manchester. Following those atrocities, 42% of all polled stated that they were more suspicious of Muslims as a result of the attacks, while 25% of respondents agreed with the statement that Islam is ‘a dangerous religion that incites violence’. As we have seen in recent weeks, elite politicians and potential Prime Ministers have not been afraid to shake the Islamophobia tree. We have seen this before — both official and unofficial campaigns to leave the EU made various Islamophobic dog whistles during the lead-up to the 2016 referendum – notoriously the claim that millions of Turkish immigrants were set to descend on the shores of Dover should we vote to remain. Yet Boris Johnson’s offensive comments about Muslim women wearing full-face veils represents not just another gaffe from the former-Foreign Secretary. As one Muslim woman told The Guardian, his comments have ‘made it unsafe for us and we’re cautioned by our family before we leave the house to be on our guard. It’s made it unsafe for us on our own streets’. Politicians of Johnson’s standing insulting and mocking ethnic minorities reflects a deeply worrying development and one which provides legitimisation to more extreme racists. Make no mistake, this has an impact on the ground. When stigma against ethnic and religious minorities is not just voluble, but espoused by those with power and influence, it emboldens those with more sinister intentions. Hate crime is already on the rise in Britain – and is particularly marked after key ‘trigger events’ such as the Manchester and London terror attacks (exactly the goal of Islamist extremists who seek to divide communities), as well as the EU referendum. Politicians and the media therefore have a duty to speak on sensitive issues with measure and caution – and not provide succour for the likes of Tommy Robinson and the conspiracy theorists, racists and street thugs who see him as a hero and martyr. In the most extreme cases, the proliferation of far right ideas is a security threat to the country. In March of this year, it was reported that referrals to the Government’s counter-extremism programme (Prevent) that related to far right radicalisation had risen by over a quarter. The attack by Darren Osborne at Finsbury Park Mosque in June, which left one dead and twelve injured, shows that far right terrorists are just as serious as those of an Islamist hue. Events outside of Britain are also critical. The global far right has become massively emboldened since the election of Donald Trump as President of the United States, as have those seeking to copy Trump’s winning strategy. Trump was elected utilising many of the same methods of European radical right populists – rampant xenophobia, the demonisation of immigrants and a conspiratorial, populist style which alleges a tiny, ‘globalist’ elite is governing in its own interests rather than the masses. 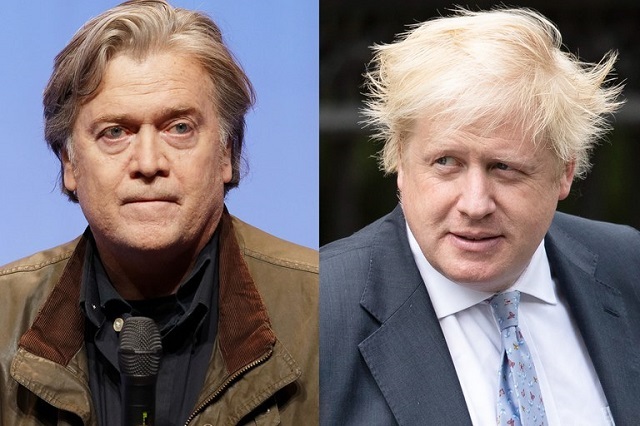 Trump’s election guru, and fan of the European far right, Steve Bannon, has recently been in the UK giving advice to Tory politicians Jacob Rees-Mogg, Michael Gove and Boris Johnson. This suggests that many in the Conservative Party who were prominent Vote Leave supporters, during a referendum which often resembled a far right campaign, may be seeking to learn from Trump’s success, something which could have devastating consequences for race relations in Britain and lead to an even more right-wing government. The far right in Britain has, up until recently, been a politically marginalised fringe group with little influence. It can no longer be dismissed as such and its ideological flirtation with influential figures in Britain both before and after the EU referendum is deeply troubling. « Previous: Comment | The Bahraini authorities are slowly killing my father. Why is Theresa May helping them?